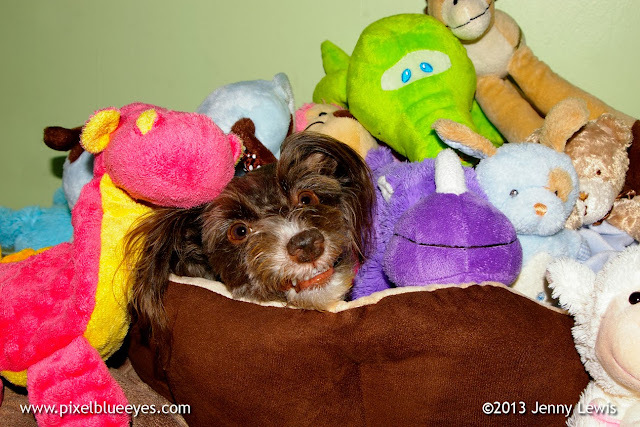 Pixel you look so cute with all your stuffies. Have a tremendous Thursday. You are one smart cookie, Pixel! And very cute too. Looks warm and snuggly! We don't wash toys because the squeakers always die, do you have that problem too? That is so cute....and just so ingenious, Pixel!